Gallery 72 is proud to present the dual exhibitions of artists Yanique Norman and Namwon Choi from November 29 to January 31, 2019. Housed in the gallery’s South Gallery, Yanique Norman’s exhibition, “Lesson on How to be a More Interesting Woman”, is a visual exploration of Safiya Sinclair’s poems “Notes on the State of Virginia, I-III”, where Sinclair’s surveys Thomas Jefferson’s denigration of the black woman. Norman follows a similar vein by uniting drawings and film to create a radical re-imagining of how one can further construct a more complex and nuanced internal black narrative. Fellow artist Namwon Choi’s exhibition “In-Betweenness”, on display in the North Gallery, investigates the concept of “migrancy” through its movement in both space and time. 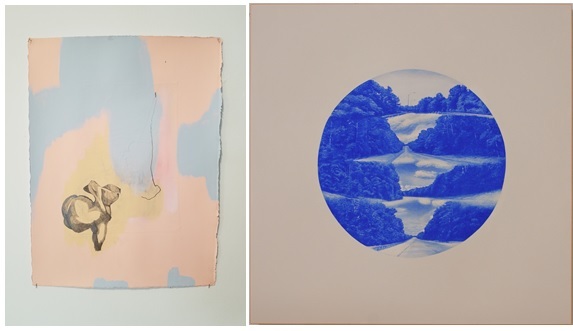 Throughout both of these works, the two artists provide dynamic and thought-provoking artistic voices that explore the importance of an internal narrative and its role in constructing a resilient self-identity in a changing world. Gallery 72 encourages you to stop by the gallery and experience the engaging narratives Norman and Choi are sharing in their respective exhibitions.